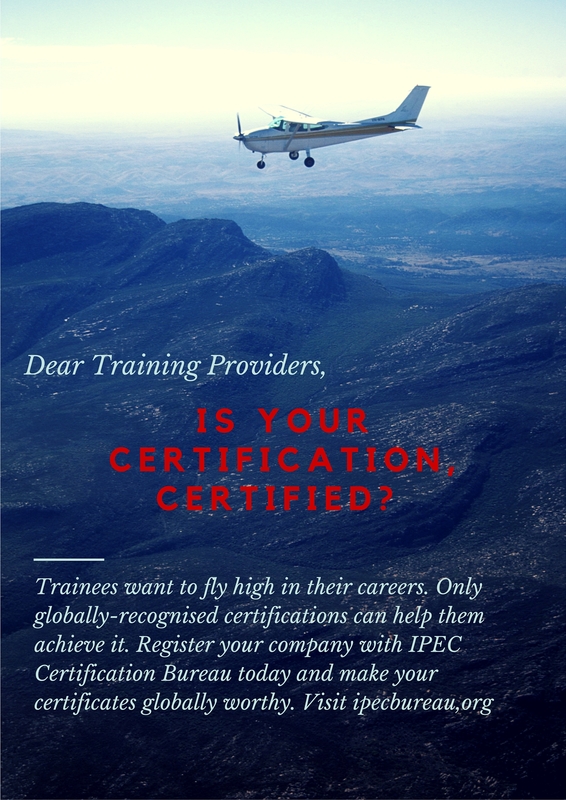 Insights – Page 2 – Are You Certified? IPEC Bureau is invited every year to participate in the international collaboration fund offered by ASEAN and APEC. This year, the International Collaboration Funds Workshop was held on 17 April 2018, organised by the Ministry of Science, Technology and Innovation (MOSTI). The objective of this workshop is to provide a brief on the funds and encourage application submissions. This presents an invaluable opportunity to embark on joint Research & Development (R&D) collaboration projects between government related organisations in Malaysia and their ASEAN and APEC counterparts. To secure international funds, the workshop encouraged submissions of quality project proposals from government related organisations. Malaysia is among the participating member states in ASEAN, Science and Technology and APEC Policy Partnership on Science, Technology and Innovation, which opens doors for international funding for capacity building and R & D projects such as ASEAN STI Fund, ASEAN Dialogue Partners’ Funds and APEC Fund. Overall the workshop was a big success in enlightening everyone on grant and funding opportunities available, primarily the ASEAN and APEC grants – which will be handled by MOSTI’s International Collaboration Funds – as well as application procedures. With APEC firmly focusing on advancing free trade for Asia-Pacific prosperity to achieve free and open trade and investment by 2020, a world of opportunities awaits Malaysians, especially SMEs involved in STI. The Asia-Pacific Economic Cooperation (APEC) is firmly focused on advancing free trade for Asia-Pacific prosperity to achieve free and open trade and investment by 2020. APEC is a regional economic forum established in 1989 to leverage the growing interdependence of the region. Back in 2014, IPEC Bureau represented Malaysia in APEC, participating in the Multilateral Recognition Arrangement Readiness Project in Person Certification (CTI 04 13T) sponsored by the APEC Sub Committee on Standards Conformance (SCSC) in Jakarta, Indonesia. IPEC is continuously involved in promoting the core values of APEC in talent mobility, social innovations and personnel quality through the ISO/IEC 17024. This will enable the public to stay competitive and relevant as APEC moves towards strengthening its human assets, especially empowering women in economic and inclusive growth. The following video helps you Imagine The Possibilities with APEC. Please contact us if you are interested to involve with us at APEC level. Site visits are crucial to ensure standards are maintained and compliance are in order. One was recently conducted as part of the new Industry Assessment Centre (IAC) by our CEO, Dr. Juliana Lim, which was developed to accommodate the advancement of current facilities on specific sector standards development and assessment practice. The visit was to Faire La Belle Aesthetic Boutique in Kuala Lumpur, owned by Ms Aileen Yap, who is also the premier investor for the Amplewest Tower. The importance of the IAC cannot be stressed enough. It provides and convenience for candidates to complete their assessment in an industrial base. IAC is the new initiative implemented by IPEC to tackle the none-typical industry competencies upskilling, reskilling and cross-skilling through outbound on real job-assessment concept. This intervention concept introduce by IPEC is in tandem with Malaysia TN50 initiative on The Future of Jobs, Employment, Skills and Workforce Strategy. The latest edition of Bulletz highlights a new dimension to human capital development in ASEAN with our recent bilateral meeting in Cambodia. And grants! grants! grant!. Don’t forget to grab yours now. Read on to find out more. Robots and robotics are the talk of the town at every nook and corner where technology is discussed. While there are genuine fears about robots taking over jobs, it’s no harm having fun with them as a past time. One such individual having fun with it is IPEC Bureau’s Graphic Designer Ahmad Faza Aizat or Faza. The Multimedia degree holder signifies an example of IPEC’s drive to boost the futuristic human capital development and best oft all, it’s happening right here in our office. He began this hobby at the age of 12 and it became his favourite due to the challenges in assembling these robots, especially the patience required. He does have his eyes on bigger things, with the Gunpla Builder Word Cup challenge being of interest. Faza’s exciting hobby is indeed a reflection of his personal value as a creative mind and it’s further empowered by IPEC’s constant encouragement for youngsters to realise their true potential, particularly in the area of Science, Technology & Innovation. According to Faza, there are a number of robot interest communities which helps those keen on pursuing this hobby make the most of their passion. So, kids, what are ya’ll waiting for? “Try and build one and get addicted to robots. It will become your passion soon,” he said enthusiastically.